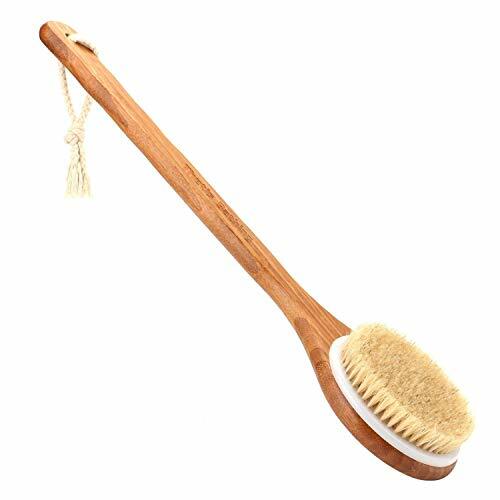 SHOWER BRUSH & DRY BRUSH : Dry brushing body brush can be used for dry brush or wet shower brush. 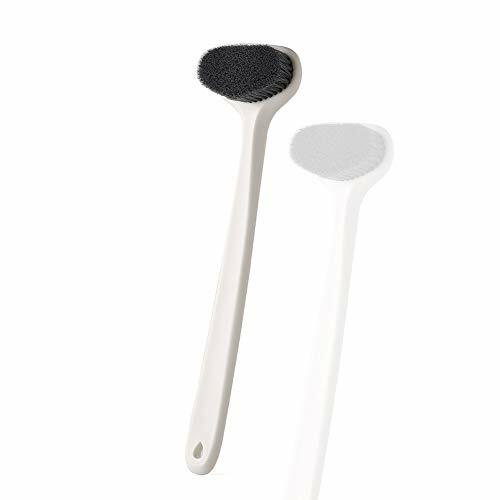 The brush can clean exfoliation enhances skin elasticity, activates circulation. 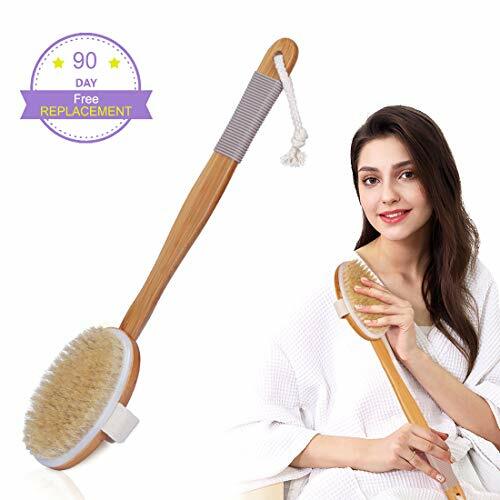 BACK SCRUBBER with LONG BAMBOO HANDLE RUBBER ANTI-SLIP COVER : Bath brush with 15.75in long bamboo handle design makes shower brush easier to clean your back, shoulders, buttocks, etc. 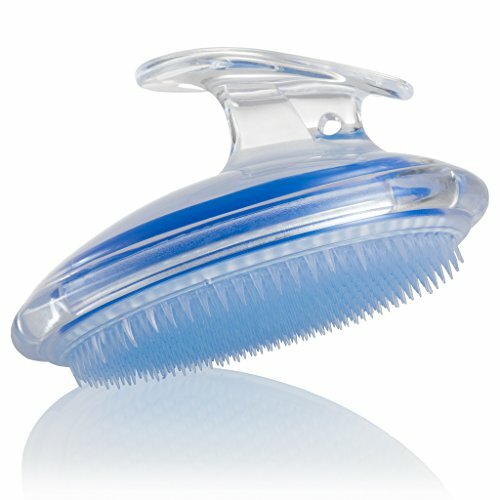 Body brush handle by unique detachable design, easy to insert and remove. 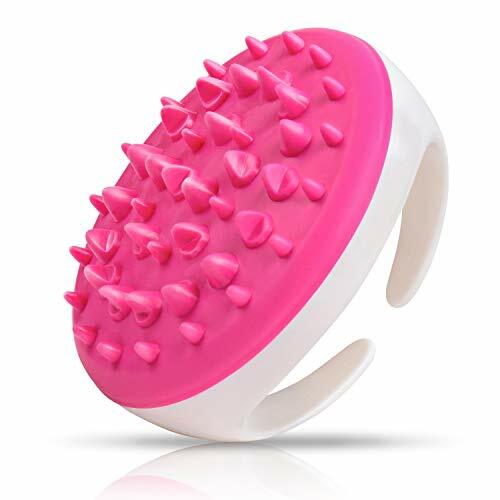 Shower brush with rubber anti-slip cover. 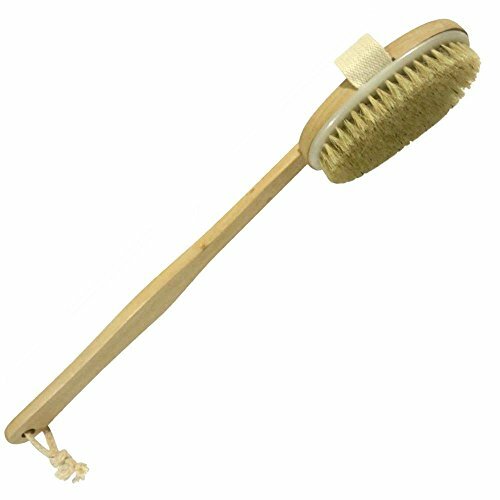 PREMIUM MATERIAL PERFECT FOR YOUR FAMILY & FRIENDS GIFT CHOICE : The body scrub brush is made of soft bristles, bamboo handles, back brush remove your dead skin,perfect as a gift choice. 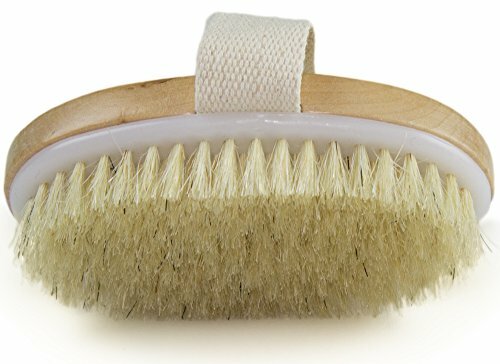 BODY BRUSH SUITABLE for WOMEN, MEN and ELDERS USE : Daily use of dry brushing body brush will make your skin highly compact. 30DAYS MONEY BACK & 90DAYS FREE REPLACEMENT : Libosa offers 30DAYS money back guarantee to ensure 100% satisfaction. If the dry brush doesn't meet your needs, we will full refund to you or provide a replacement body brush. Effectively soften aged horniness and dirt, dredge pores and make skin tender and moist. 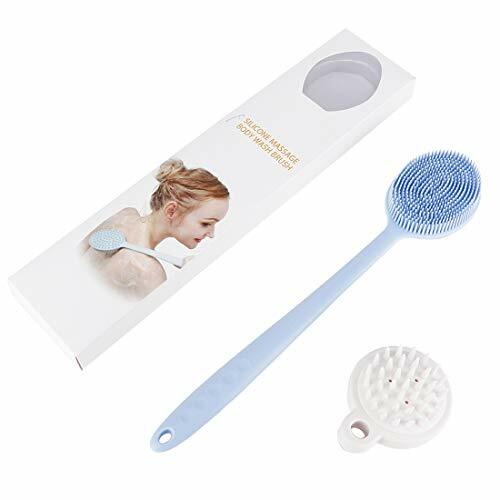 High Quality Silicone - Unlike other cheap brush on the market, Our silicone bath brush is made of high quality silicone material, 100% BPA-Free, extremely soft, and 100% harmless to human body. 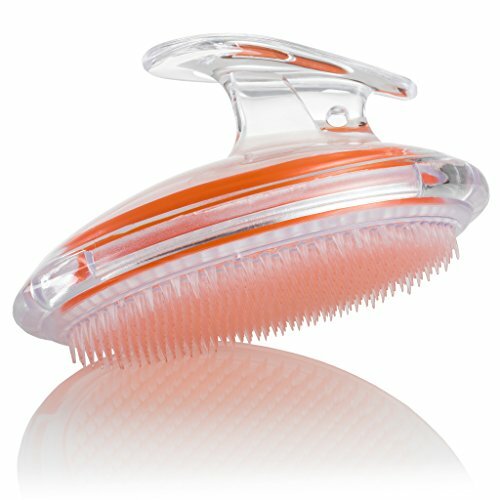 Unique Design of the Brush - The front of our bath brush is equipped with 498 soft silicone teeth of appropriate length, which is easier to generate a lot of bubbles, and deeply clean your body, giving you an awesome bath experience. 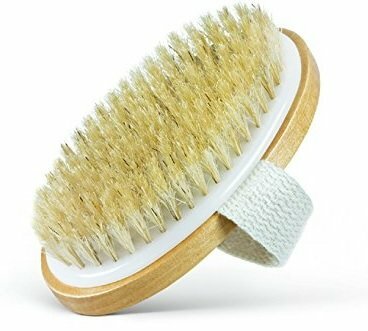 The back of the brush is equipped with 95 harder teeth for Massage,which will relax yourself and protect your skin smoothly. Also it is fast drying, which can reduces bacterial growth. Unique Design of the Handle - Compared with the body brush with long handle on the market, our handle is built-in Manganese Steel, which is more durable and not easily deformed. 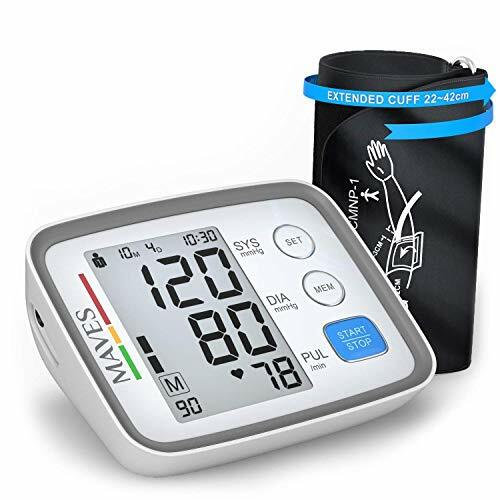 The length of the handle is 10.82 in, and its surface is matte, which is more comfortable for grip and hold firmly, and easier to clean and massage your body&back. With it, you can easily scrub and clean the corners that hard to reach. Unique&Perfect Sets - For the better shower/bath experience of our customers, we presented a set of massage shampoo brush, which is made of the high quality material, 100% BPA-free. 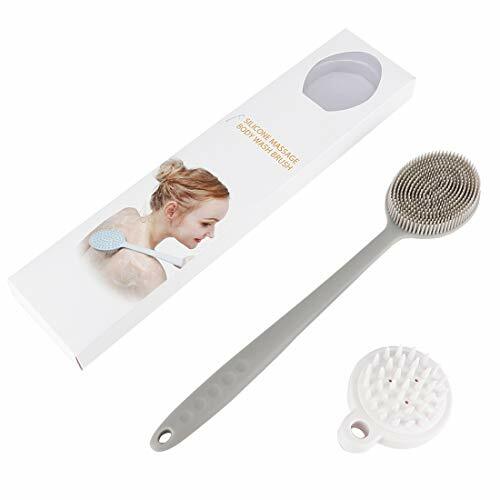 It is very easy to use, and massage the scalp smoothly, which will stimulate the growth of hair and fight against the Baldness, also relax yourself while in the shower. Satisfaction Guarantee - HonShoop/Mozarine provides 30 days money back & 12-month worry-free guarantee. Plz contact us by clicking the yellow button(Ask a question) on the page of our store, we are at your service 24 hours a day. 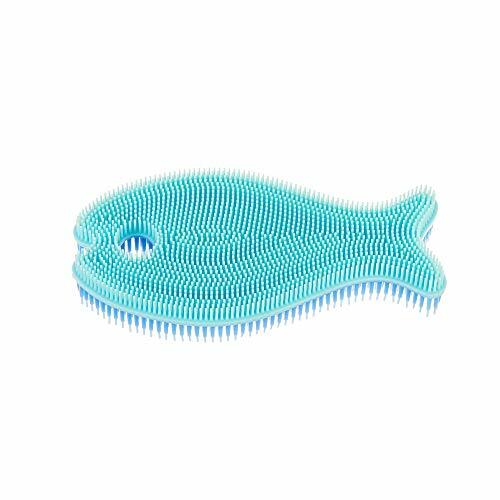 FOOD GRADE SAFE MATERIALS - Our shower scrubber is Made from food grade silicone, BPA-free, FDA-approved, LFGB standard. which is ultra-soft and easy clean, quick dry and no residue. The best choice. If you have any problems with shower back scrubber, please feel free to contact us by email. We will offer a free replacement or full refund. 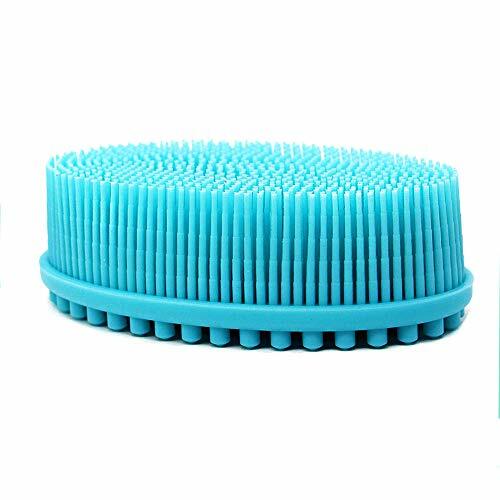 DUAL-USE DESIGN - This shower cleaning brush is outfitted with 100 soft silicone bristles of the suitable length that makes it more easier to create a lot of bubbles, Effectively remove the dirt and unnecessary grease. 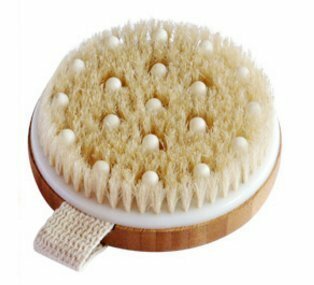 Back massage dot design, back brush can be used to massage cervical vertebra and back. LONG HANDLE DESIGN - The back scrubber for shower is with 10.82in long handle that is inlaid with food grade 304 stainless steel plate, reinforced more secure, durable and not easy to deform. 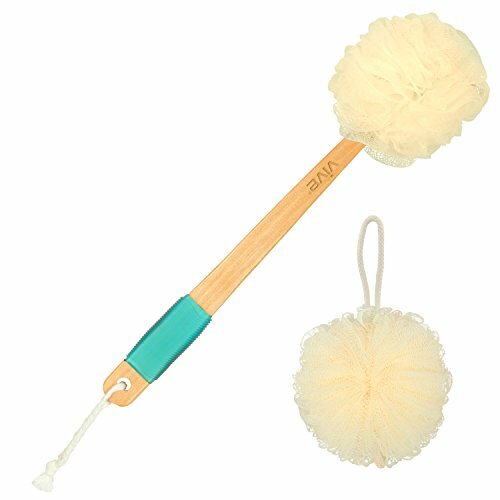 With this shower brush with long handle, you can easily scrub and clean those hard-to reach areas. 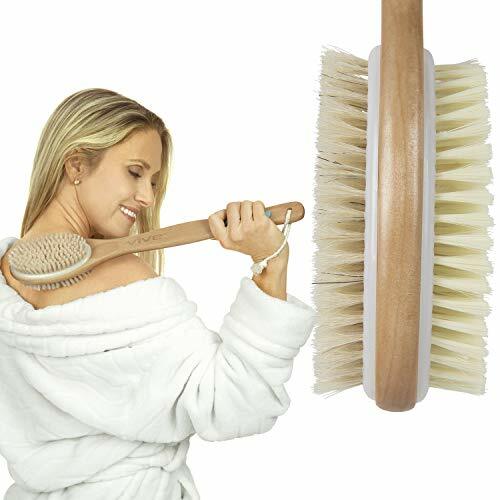 EASY STORAGE&QUICK DRY - The back brush long handle for shower is equipped with a pre-built lanyard hook for hanging when not in use.You can hang the bath brush for easy storage on any hook in your bathroom. 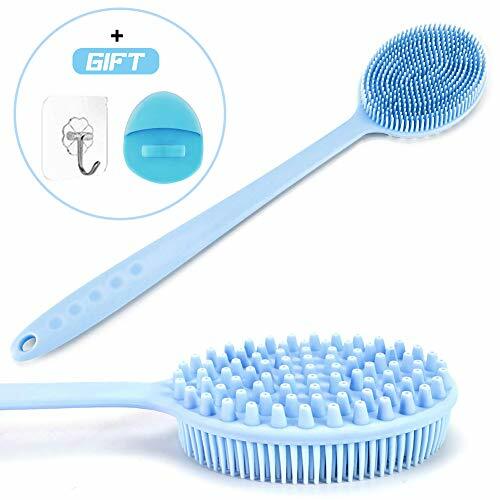 Includes gift hook and Silicone Facial Brush. Scope of application: This product uses food grade silicone material, silica gel bristle is dense and soft, easy to build thick foam, brush soft and hard, suitable for children, old people and ladies tender skin. Acceptable for sensitive skin- the bristles are softer enough to use, and don't irritate skin, also can use it on a baby. Save bath time-Easy to brush all over the body, instead of using towel hard to scrub. Easy to clean- can sanitize in hot water, hang up for quickly dry. 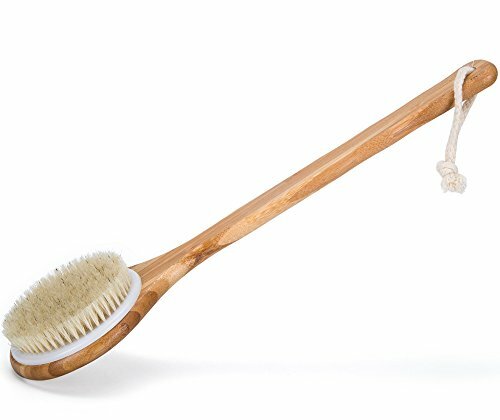 Our brush bristles will not shed, guaranteed. 1, Wet the brush with water, apply appropriate amount of shower gel to brush head. 2, Gently knead to from foam, you can clean the body. 3,Rinse thoroughly after washing and hang dry. Lmain Shower Brush Silicone Shower Brush is made of silica gel of high quality, without BPA. 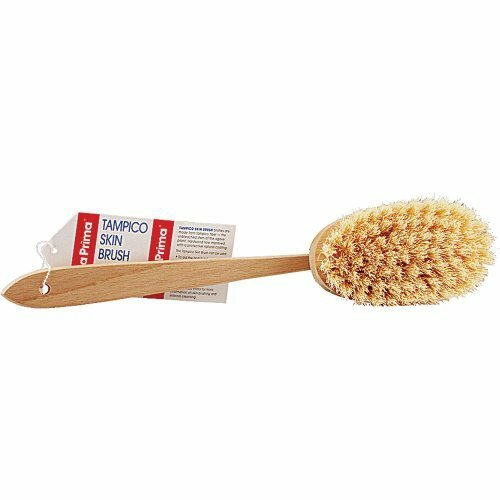 With soft brush, it won't stimulate or hurt skin, providing your tender skin an extremely cleaning experience. 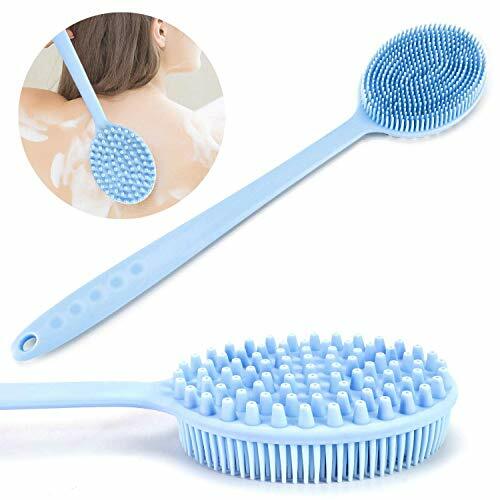 Body Scrubber Brush Effect Suitable for a types of skin. ; cleaning pore, removing dead skin and toxin easily, improving circulation and gland of oil, which makes your skin more smooth. 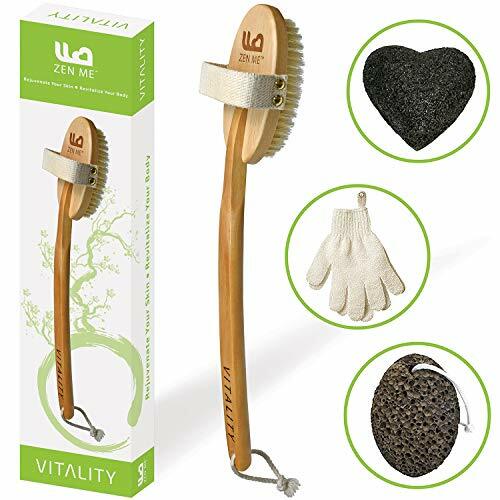 Long Handle Shower Brush Size Dimension L*W*H 14.8*3.3*0.8inch/ 37.5*8.3*2cm, long enough to reach back side and shank; Weight: 0.44 lb/ 200 g.
Different Length of Bristles on Two Sides The long side is for removing keratin and deeply cleaning of body; the short side is for massage, knocking on cervical vertebra and shank, eliminating fatigue. Hanging Design Hang directly on ventilative area after using, no need maintaining, and it won't cause bacteria growing and mould growing.